For diagnosing issues in Kaspersky Endpoint Security 10, technical support engineers may ask you to rename some drivers used by Kaspersky Endpoint Security 10. 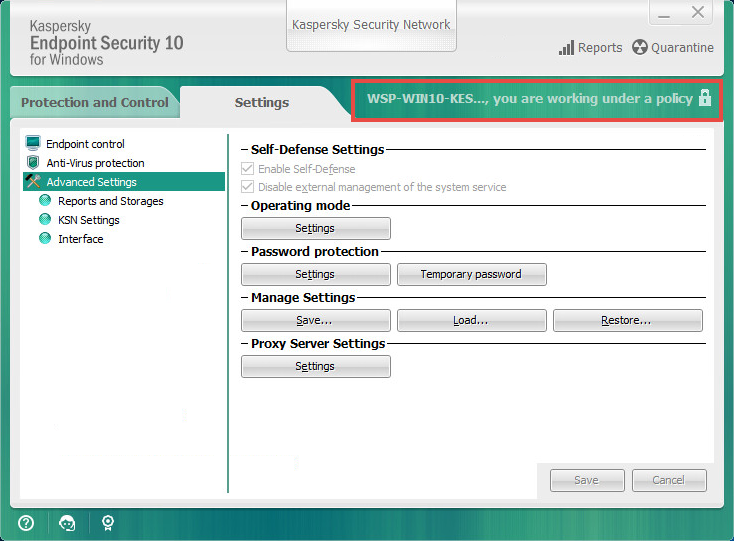 Open Kaspersky Endpoint Security 10 and make sure no policies are applied to this computer. Open the Settings tab and click Advanced Settings. Clear the check box Enable Self-Defense and click Save. 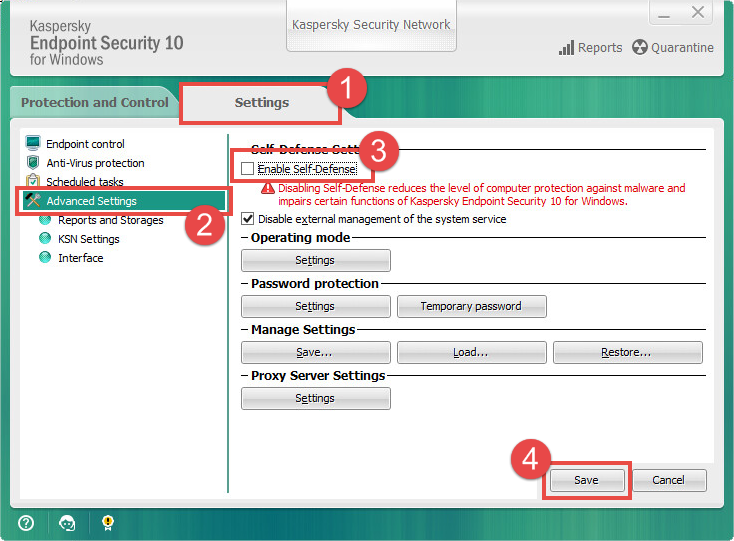 In the task bar, open the context menu of Kaspersky Endpoint Security 10 and select Exit. Select the driver specified by the support engineer. Right-click the item and select Rename. Add the underscore ( _ ) after the current name of the driver. Run Kaspersky Endpoint Security 10 and see how it affects the computer functioning. After renaming each driver, restart the computer. This helps find out which driver causes malfunctions. After troubleshooting, rename the files back. If the computer runs under a policy, editing of Kaspersky Endpoint Security 10 parameters is unavailable. Create a new group which will run under a different policy. Move the computer to this group. Disable the policy for the group.